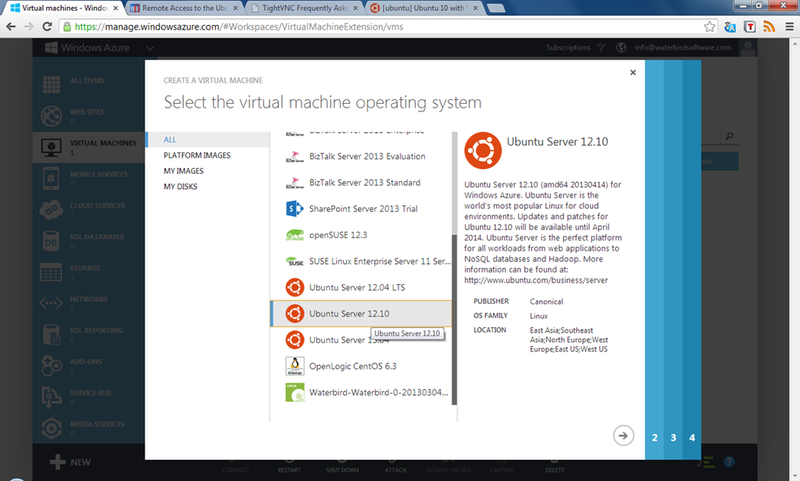 Creating (it’s hard to write “installing”) a Linux virtual machine on Windows Azure is remarkably simple. It’s just a matter of choosing the O/S and configuration you want from a gallery of options. The whole process takes a few minutes and under the BizSpark start-up program, it’s possible to get access to Windows Azure for free. 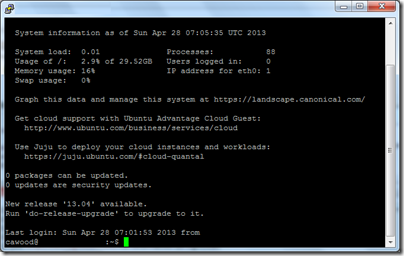 After creating the VM, you can connect easily from Windows by downloading PuTTy SSH. 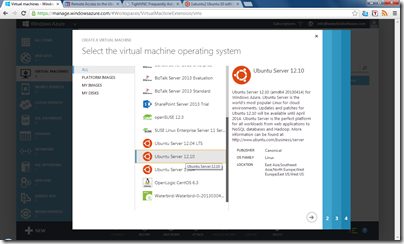 Full instructions for creating a Linux Virtual Machine on Windows Azure can be found on the Windows Azure website. SPAM Green is people! It’s people! I’ve heard that some people refer to the excessive mail that comes in from legitimate sources (e.g., your airline plan, Groupon and hotel plans) as “Bacon.” In other words, it’s not SPAM, it’s bacon. I don’t think that’s a good term because why would you associate something negative with bacon? Anyway, the issue that I have been complaining about for a long time is not the volume of email from accounts that are genuine, but SPAM that comes as a result of human error. Someone mistyped in the address somewhere along the way and now you get their mail. I’ve decided to call this type of email “SPAM Green.” Why? Because it’s people! SPAM Green is people! 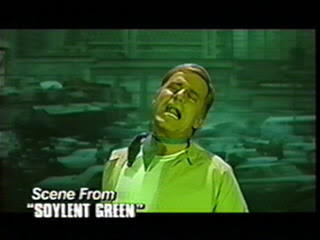 If that doesn’t make any sense to you, you really need to watch Soylent Green. I have a relatively short email address (6 characters), so this happens to me all the time—I mean every week I get mail that’s for someone else. Much of the time, there’s an unsubscribe option, so I just do that, but sometimes there is no way to unsubscribe so I have to just mark it as junk. The funniest ones are the messages that include login details for their account. Of course, I don’t use that information for evil, but one time I got messages from some shady “have an affair” site, so I did use the info to go in and delete the account.